Among the subcategories of aluminum angles are extruded aluminum angles, which are mostly found within the construction, building and engineering industries as structural components. Aluminum angles are used as framing, railings, posts, supports, hangers, brackets, reinforcements, stiffeners, flanges, collars, window frames, trim and bars. In addition to structural applications, aluminum angles are also widely used for engineering applications such as in railcars, ground transportation systems, scaffolding and in cooling towers. 6061 aluminum, which is alloyed with magnesium and silicon, is the most common material for structural applications. However, 6063 aluminum, which is also alloyed with magnesium and silicone, is another common material used in the manufacturing of aluminum angles, due to its good mechanical characteristics such as moderate strength and exceptional finishing properties. 6061 aluminum angles are generally characterized by rounded corners, while 6063 aluminum angles have sharp corners that reflect their typical applications. 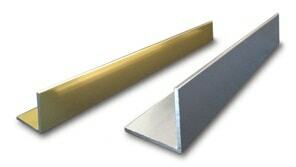 All aluminum shapes, including angles, are manufactured through the extrusion process. The extrusion process is the forming of long, constant cross-section structural parts by pushing metal billets through a die at either various temperatures. The various temperatures separate extrusion processes into three different methods: hot extrusion, warm extrusion and cold extrusion. Hot extrusion is for extrusion processes that take place at high temperatures, while warm extrusion takes place at moderately high temperatures and cold extrusion takes place at or very near room temperature. Aluminum Angles – Johnson Bros. 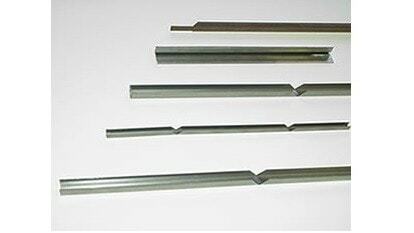 Roll Forming Co.
After the extrusion process occurs, the legs of the aluminum angles are often welded together because extruding an L-shape can be difficult. One method of welding used in this process is tungsten inert gas (TIG) welding. An arc welding process, TIG welding utilizes a nonconsumable tungsten electrode in order to produce the weld. In addition, to obtain the desired strength for structural applications, aluminum angles are often T5 or T6 tempered, a form of heat treatment in which the metal is strengthened when the intermetallic particles are precipitated. Structural aluminum angles are often anodized, a finishing process where the aluminum is oxidized in a chemical bath, which forms a strong outer coating. Aluminum Angles Aluminum angles are standard extruded L-shaped parts composed of 2 legs that intersect and form a 90 degree angle.Aluminum is an ideal metal for the manufacturing of these long, narrow shapes because of beneficial characteristics such as a high strength-to-weight ratio and excellent corrosion resistance. The legs of the angle are either equal or unequal in length, and often have sharp corners.